With the arrival of the iPad, micro SIMs have become commonplace for anyone wishing to connect to the mobile web from a tablet device. More and more mobile phone handsets are also using these chips which are around half the size of a standard SIM. However, there are a few drawbacks. To begin with, swapping a micro SIM between a tablet and a standard mobile phone isn’t practical. Additionally with more and more phones requiring micro SIMs (such as the new Nokia Lumia 800) it becomes difficult to swap one of these tiny SIM cards between a new and an old mobile phone, something that might be necessary if you want to copy contacts from one device to another, for instance. Taking a new phone or tablet abroad meanwhile, might require picking up a new SIM card on a short-term contract with a local network. But if they only sell standard SIMs, what can you do? 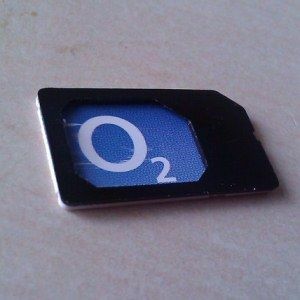 Fortunately there are a couple of methods that you can use to trim down a standard SIM card to micro SIM dimensions without causing damage to the important components. Your SIM card is used to identify your phone on the mobile telephony network. Various data is held in the small gold chip, such as an authentication key and network specific information; numbers for sending SMS texts and details about the mobile network you use. The gold section, as you can see, contains the vital stuff. Around this, meanwhile, is the card body, which is made from plastic and is only there to provide a shape for the device, important to avoid it being used the wrong way around, for instance. When comparing a SIM card with a micro SIM you will see that they are both essentially the same item – the micro SIM is smaller and can sit comfortably within the dimensions of the larger card, but the actual chip itself is the same. This makes it easy to create your own micro SIM. Now you don’t have to follow the steps listed here as there is a slightly quicker way of doing this. However it will cost you a small amount and require a trip to eBay. Naturally we want you to be able to do this for free, but we’ll take a quick look at this other method as it provides the background for what we’re going to demonstrate in the next section. Several vendors on eBay sell SIM cutters – resembling small staplers – that punch the chip from the SIM card at the appropriate dimensions to be used in a micro SIM device. If you wish to regularly switch your SIM between say an iPad and a standard mobile phone, you can then use a SIM adaptor. You might find a few warnings online about doing this, but as long as you have a steady hand and a reliable blade you can cut your own micro SIM and save yourself the purchase and postage costs of a device which is really intended for bulk use (although before proceeding you may wish to play it safe and order a replacement SIM card, just in case of accidents). The process for doing this is pretty simple, although it will require a SIM adaptor, which hopefully you already have. You will also need a sharp pencil and scissors. Begin by placing your current, standard SIM under the SIM adaptor so that all of the edges line up. The chip should be visible through the gap in the adaptor, with a small amount of the card’s plastic around the edges. With a pencil, mark the inner edge of the adaptor onto the card, thereby creating the outline of a micro SIM. You should have been careful with the previous step, but the real care needs to be taken with the scissors. Follow the pencil line around your SIM, trimming it down to micro SIM proportions. Once you have done this, check the trimmed SIM in the adaptor – you’re looking for a tight-but-snug fit so that the device can operate as intended, so be careful not to over-cut. A few moments later you should have a micro SIM which you can use with the adaptor in a traditional phone and easily swap it into a tablet. Obviously there are only certain situations in which you should do this; it really is a last-chance option. There is no need to head off and trim your existing SIM card down! As long as you trace the line accurately and don’t trim any of the chip, you should end up with a hand-crafted, usable micro SIM, as demonstrated in the accompanying image. Dare you try this method to make your own micro SIM card? Or is the “hole punch” solution safer for you? Dear Sir/Ms. I indeed appreciate your findings and instructions on the SIM cards. I really would like to get further more details and acknowledge on this domain. What shall I do to get this service? I used a large kitchen knife with a slightly curve edge an a wood cutting board. Put sim card on the cutting board and gently waved the knife edge back and forward on the simcard. "Rolling" the edge on plastic and in the end on the goldcontacts on one side. To reduce the size. And it worked ! Have the card in my new phone now ! I think you're probably looking in the wrong place for that information, Mahmud. You can't create a simcard from scratch with the steps described here, a process that requires manufacturing on an industrial scale. I want to knew that how create a sim card. My new micro sim from Fido had to be punched out of a card. The sim actually had the punchout lines for a full sim too. I carefully punched out the full sim and then the micro sim. I saved the full sim plastic and now have an adapter. all looks ok but at the end of the day is it not just as easy to transfer your number to a new micro sim at the time of purchase of device? and just use adapter for the larger sim holder in other devices? I think they will only do this if you're getting a new device with a carrier on contract. Apple won't do it if you just purchase an unlocked iPhone, for instance.